Why choose Only 1 Auto Glass? Satisfaction. At Only 1 Auto Glass, we strive for your complete satisfaction and will work to earn your business. We know you probably won’t need auto glass repair very often but when you do, we want you to come back to us and recommend your friends. You are important to us. Experience. It may be hard to imagine but our energetic team has over 200 years of combined auto glass repair experience. We know what we are doing when it comes to windshield repair! Convenience. Auto glass couldn’t be more convenient with our 15 Twin Cities Metro locations. Wait a minute, it could be more convenient. Our fleet of mobile glass repair vehicles will come to you! Just contact us and we’ll come to your home or office. Speed. We know when you have a rock chip it needs to be repaired quickly so it doesn’t get worse. That’s why we work with a sense of urgency in getting your windshield repair done quickly and correctly. We also work with the same urgency for all of our auto glass repair projects. We are employee owned. Why is this important? When you come to Only 1 Auto Glass every person has more at stake than just their job. We are all owners and that is a difference you will notice. We are Green. All damaged, un-repairable windshields are recycled in an environmentally-safe facility that recycles them to go into asphalt for our roads. We also recycle all of our urethane tubes, cardboard and paper shipping containers. We work with insurance companies. We can help take the hassle out of your insurance claim. Only 1 Auto Glass offers continuing education classes for agents and their staff throughout the Twin Cities area. Getting an estimate is so easy you can do it online. Fill out our simple online form with your vehicle make and model and year and describe you problem. Tell us how best to contact you and we will get an estimate right to you. Our customer service team is available 24/7 via email. When it comes to rock chip repair or even a full windshield replacement Only 1 Auto Glass has you covered. The next time you get a chip in your windshield, don’t let it ruin your day, call, visit, or even email Only 1 Auto Glass. We want to earn your business! 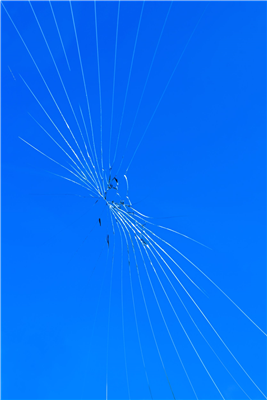 « Rock Chip Repair: Is it Necessary?